Julia Davis, M.S. is an Investigative Journalist, a featured expert with the Atlantic Council’s Disinformation Portal. 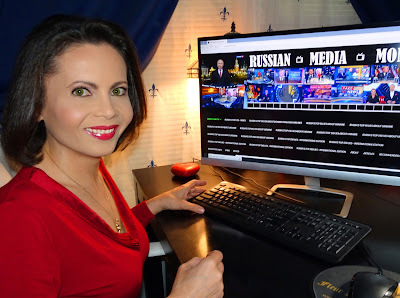 Julia created and operates the Russian Media Monitor, analyzing Russian state media in a broader context of the Kremlin’s propaganda tactics, with focus on the Kremlin’s hybrid warfare and foreign policy. Julia's reports have been featured by the Washington Post, the Daily Beast, Rolling Stone, Newsweek, CNN, MSNBC and other media outlets. LOS ANGELES, May 2, 2012 /PRNewswire/ -- Creative visionary, John Schofield, who produced Academy Award-winning films such as Jerry Maguire, As Good As It Gets, and Ali, has produced the must-see documentary of 2012, Top Priority: The Terror Within (www.topprioritymovie.com), which is premiering at the Academy of Motion Picture Arts and Sciences on May 16, 2012. Julia Davis, M.S. is an American writer, producer in the film and television industry, member of the Academy of Television Arts and Sciences, Women In Film and the Screen Actors Guild. Julia is a Russian Media analyst. She specializes in exposing Russian propaganda tactics, with focus on the Kremlin’s hybrid warfare and foreign policy. 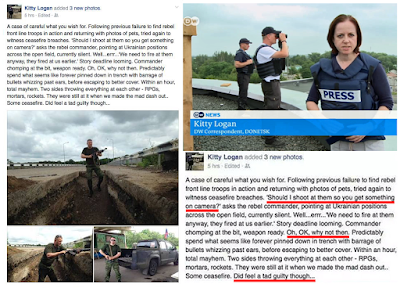 Julia is a featured expert with the Atlantic Council’s Disinformation Portal – an interactive online portal and guide to the Kremlin’s information war. Julia created and operates the Russian Media Monitor, analyzing Russian state media in broader context of the Kremlin’s information warfare.